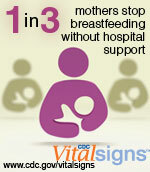 Social media allows you an opportunity to raise awareness about health issues important to women. Add a button or badge to your site or page. Each badge or button focuses on staying healthy and the prevention of disease, illness, and disability. 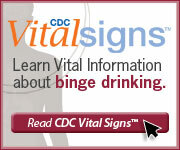 New estimates show that binge drinking* is a bigger problem than previously thought. More than 38 million US adults binge drink, about 4 times a month, and the largest number of drinks per binge is on average 8. This behavior greatly increases the chances of getting hurt or hurting others due to car crashes, violence, and suicide. Copy and paste the code to embed this button in your Web site, social network profile, or blog. The Inside Knowledge: Get the Facts About Gynecologic Cancer campaign raises awareness of the five main types of gynecologic cancer: cervical, ovarian, uterine, vaginal, and vulvar. It encourages women to pay attention to their bodies and know what is normal for them, so they can recognize the warning signs of gynecologic cancers and seek medical care. When gynecologic cancers are found early, treatment is most effective. 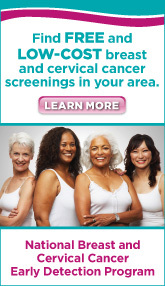 CDC’s National Breast and Cervical Cancer Early Detection Program (NBCCEDP) provides access to breast and cervical cancer screening services to underserved women in all 50 states, the District of Columbia, 5 U.S. territories, and 12 tribes. 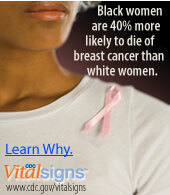 Black women are 40% more likely to die of breast cancer than white women. Learn why. In the US, most babies start breastfeeding, but within the first week, half have already been given formula, and by 9 months, only 31% of babies are breastfeeding at all. The Baby- Friendly Hospital Initiative describes Ten Steps to Successful Breastfeeding that have been shown to increase breastfeeding rates by providing support to mothers. In the United States, hospital patients get nearly 2 million infections each year. That’s about 1 infection for every 20 patients. Infections that patients get in the hospital can be life-threatening and hard to treat. 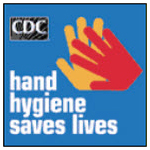 Hand hygiene is one of the most important ways to prevent the spread of infections. Motor vehicle crashes are the leading cause of death for people age 5 – 34. Adult seat belt use is the single most effective way to save lives and reduce injuries in crashes. The percentage of adults who always wear seat belts increased from 80% to 85% between 2002 and 2008. Even so, 1 in 7 adults do not wear a seat belt on every trip. 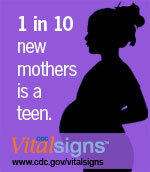 More than 400,000 teen girls, aged 15-19 years, give birth each year in the US. Having a child during the teen years carries high costs–emotional, physical, and financial–to the mother, father, child, and community. Parents, educators, public health and medical professionals, and community organizations all have a role to play in reducing teen pregnancy.